The Maj. Steven Roy Andrews Fishing Outreach Program Inc. is a 501(c) 3 non-profit program that was started in 2008 out of a need to help veterans and at risk and needy kids. The purpose of this program is to get veterans and kids hooked on fishing. For veterans it gives them a way to deal with issues from their service, be it mental or physical ones. Kids find a new hobby they can get involved with and make better choices in life as opposed to hanging around on the block and getting into trouble. 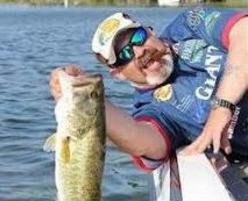 Joe Kowalski takes a vet or kid out on the boat for a day of fishing. “It's a lot like a one day fishing lesson. I try and teach them all I know about this great sport,” explains Kowalski. Each vet or kid receives a rod and reel and a tackle box full of the latest baits. This is theirs to keep free of charge. Also included are contacts for local fishing clubs in the area they live so they can continue on if they wish or they can call Joe anytime with questions. "The Maj. Steven Roy Andrews Fishing Outreach Program has been a success beyond what I thought was possible. As I begin my 10th season, I have realized that the M.S.R.A.F.O.P. 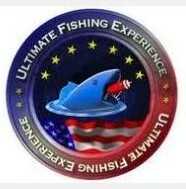 has helped 285 veterans and several hundreds of kids that I was able to expose to the great sport of fishing. I would encourage you to visit my sponsor’s page and check out the many fine sponsors that help me with my program. They care about our veterans and kids so please help them out by using their products and services. During the coming years I hope that you will continue your support of my Fishing Outreach Program. I hope you feel the same way as I do about our veterans and kids. In a small way my Fishing Outreach Program is my way of giving back to my fellow veterans and helping out our kids. It reminds me of that old saying 'Give a man a fish he eats for a day, teach a man to fish and he eats for a lifetime!' I equate it to this you can donate to any veterans group or charity and they get help for a set amount of time, donate to my program and you give a lifetime of therapy to a veteran or give a kid a chance to succeed in life."